rocky's bru: Chauvinist party: Who's naive and stupid now? ... 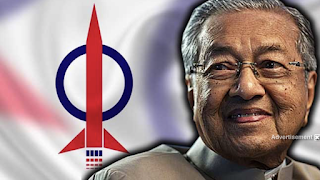 I don't think even Mahathir, despite his many amazing U-turns of late, would dare to turn around and tell the Malays that it's ok for the DAP to rule them. The Old Man may be desperate but he's not naive and certainly not stupid. -Does Mahathir really want a DAP-led government? Damn! We were so naive and stupid.